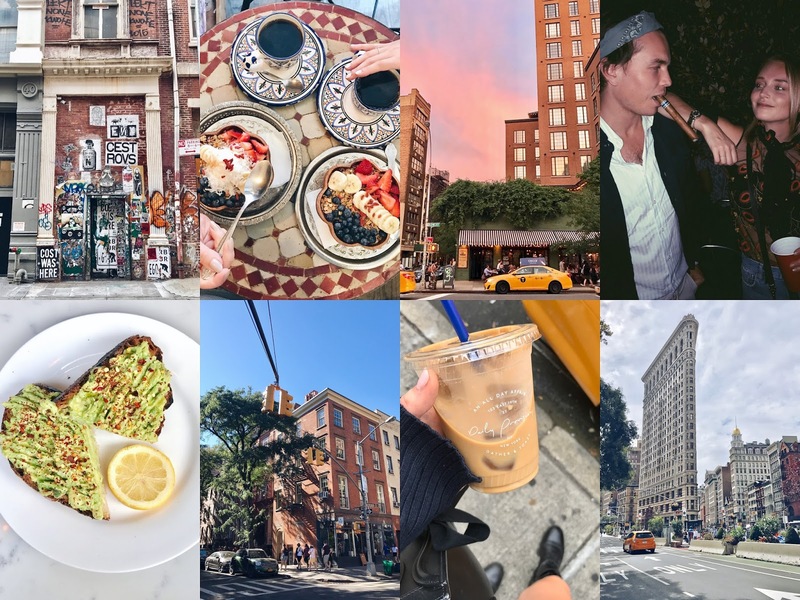 If you follow me on Instagram, you might have seen that I was in New York the last two weeks of September. I had planned on staying for a week, but because of different reasons, one week became two! It was incredible to be back in New York after having officially left at the beginning of July. I had missed the city, its energy and most of all my friends. And to make it even better, there was kind of an Indian summer heat wave so it felt like going from autumn straight back to summer. 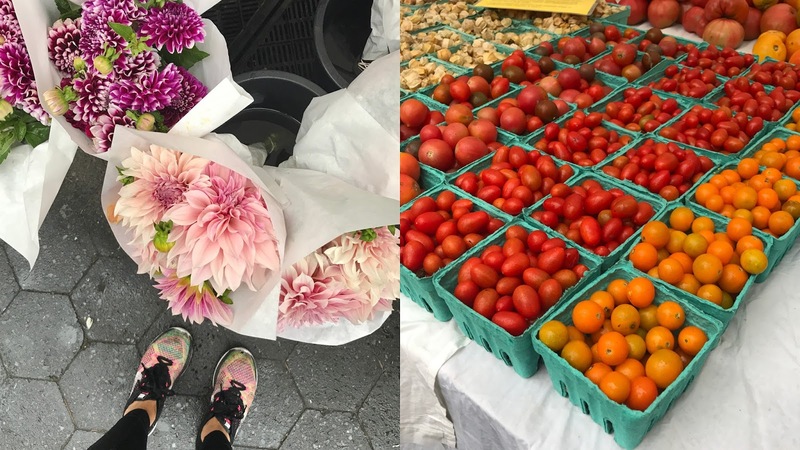 I know you too have missed these New York posts (especially after seeing your feedback! ), so just for you, here's the first of two New York posts where I show you some things I did in those two weeks. 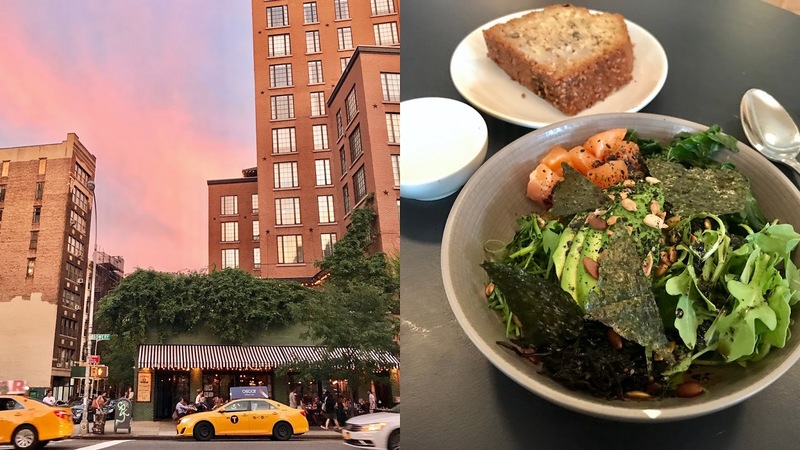 I discovered some new places which are not yet in my NYC guide... so enjoy! I left Amsterdam airport early Sunday morning and arrived around noon in New York. 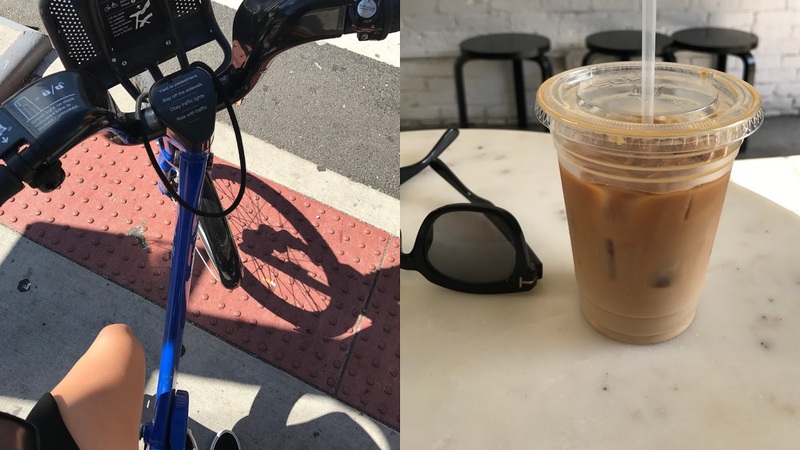 It was hot and sticky when I got off the plane, so I took an Uber straight to my friend who lives in the East Village. After a quick shower, we decided to go for a walk. // It felt surreal to be back in the neighborhoods I used to walk around in every day. 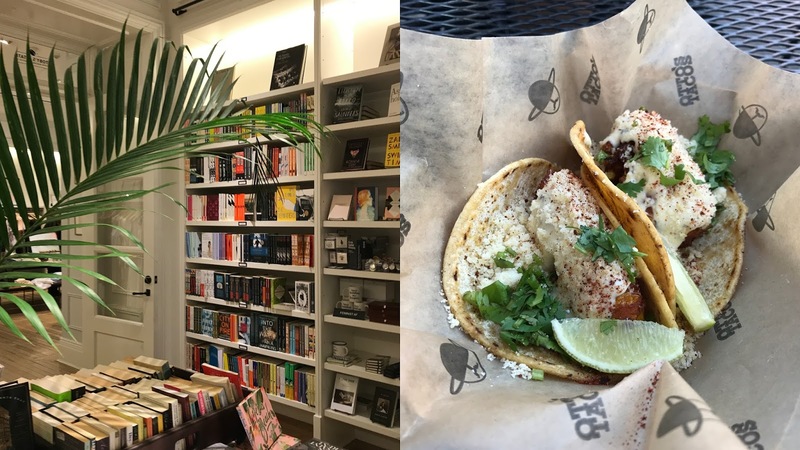 Since I was in need of a good coffee we stopped at Toby's Estate Coffee on 5th Avenue, where they have a little Strand bookshop as well. I love this hidden spot! // Because we skipped lunch we got hungry around 4 and got some veggie tacos at Otto's Tacos. It eased our hunger but I wouldn't recommend this place. I couldn't believe the temperature in New York. End of September and 27 degrees, everyone in shorts and t-shirts! 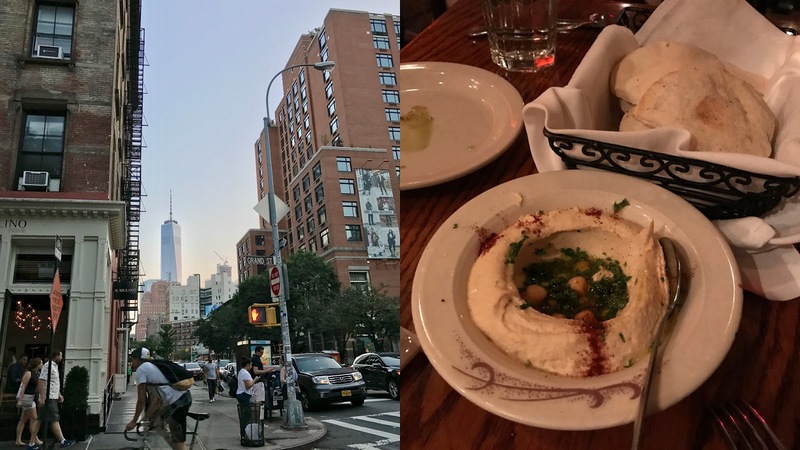 // Although I was dead tired, I decided to ignore the jetlag and go for a quick bite at Balade, a very authentic Lebanese place on 1st Ave. The food is so delicious here! 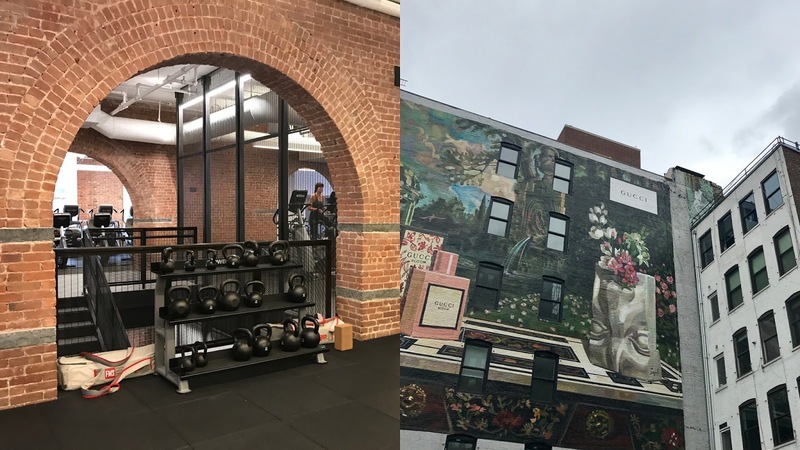 After my workout, I passed by Union Square market, which starts around 8 AM. I bought some fresh fruit for breakfast but truthfully I wanted to buy everything I saw. 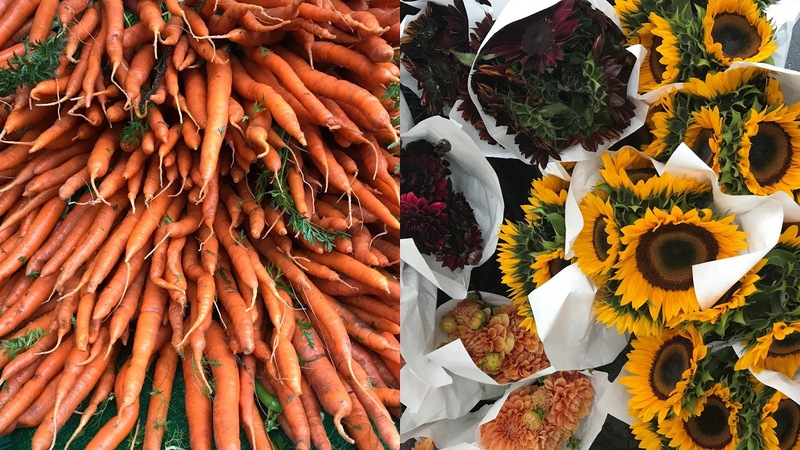 I love how they display the carrots and other root vegetables, it's so pretty! // Growing up with an abundance of flowers in the garden made me spoiled. I'm always shocked at the prices of flowers in big cities. 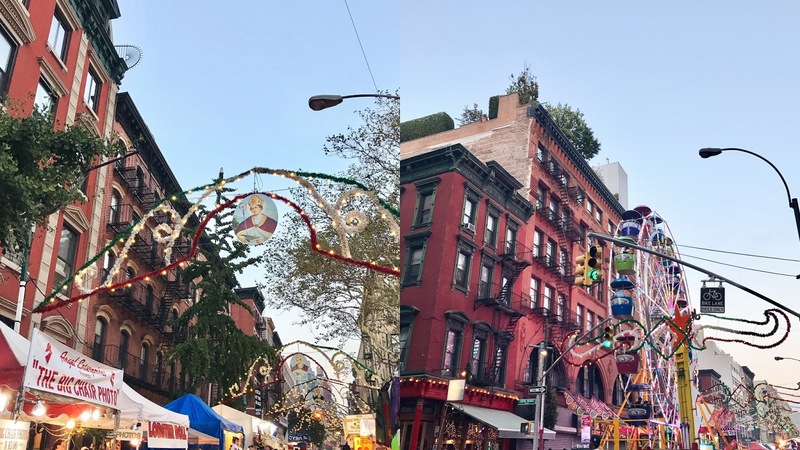 Little Italy was transformed into a big festival for the Feast of San Gennaro. Kind of fun with all the street stalls but 11 days feels a little long (I've never seen Little Italy and Nolita dirtier). 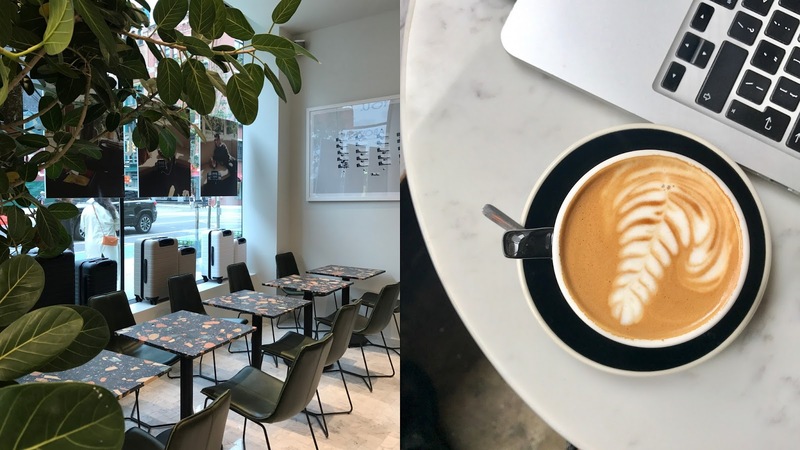 The new Away (suitcase brand) store has the cutest little café inside it! But it wasn't open yet when I took this pic. 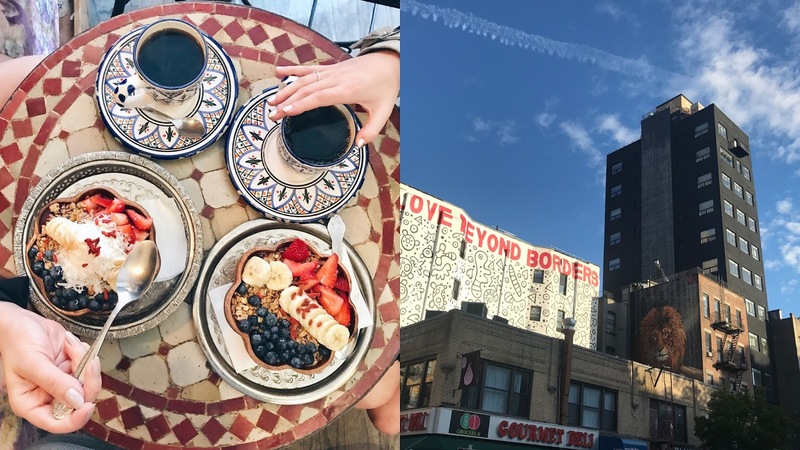 // After staying a couple of days with a friend in East Village, I moved down to the Lower East Side where I stayed the remainder of the time (thank you thank Anni & Meghan!) One of the best parts was having Ludlow Coffee Supply right around the corner. 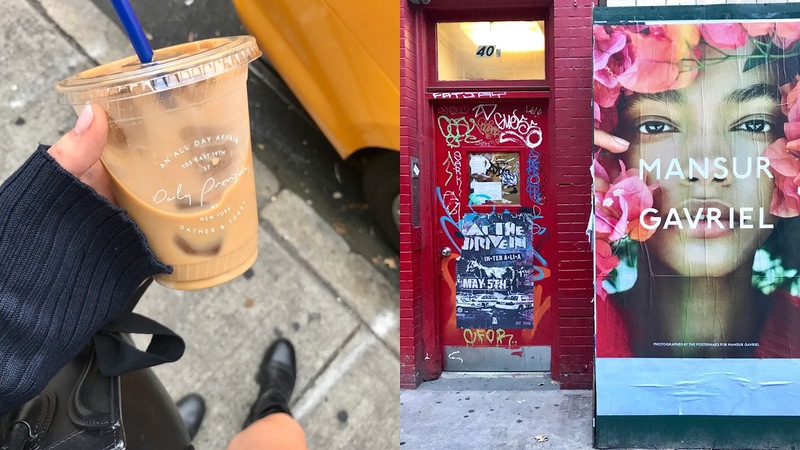 Some of the better coffees in New York! 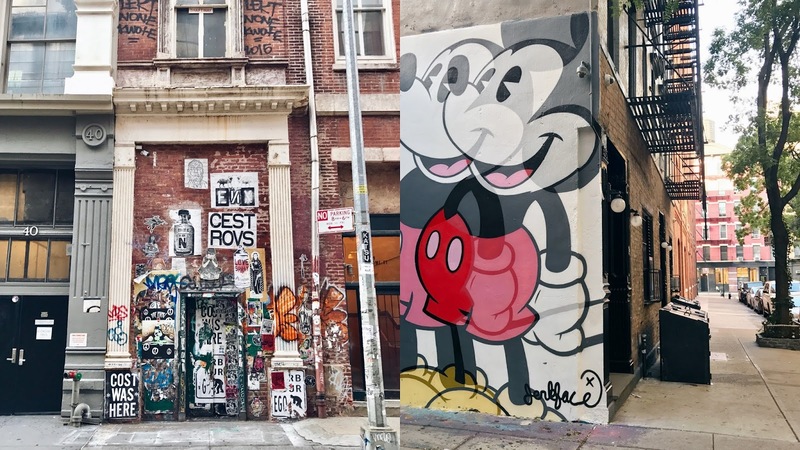 SoHo & NoHo street art! 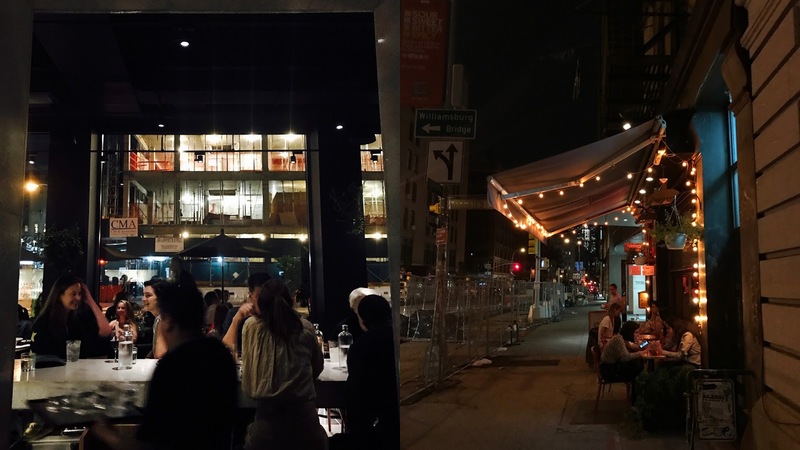 Left is Crosby Street, right is Mott Street I believe. Tried the brekky at Bocaphe, a place I passed a million times but never tried! 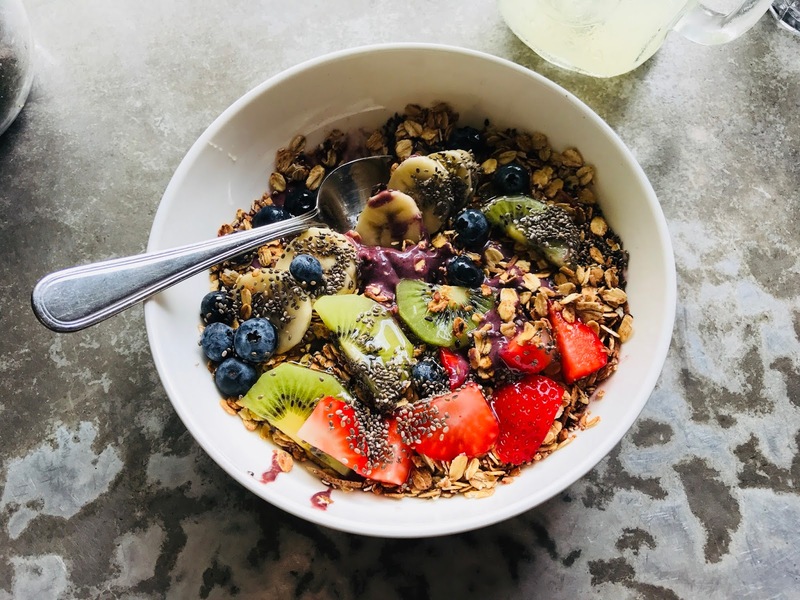 This açaí bowl was excellent and the lunch/dinner menu also looked great. I think I prefer it to Jack's Wife, which is next door but always impossibly crowded. Daily Provisions had also been on my to-do list, and I ended up going twice during my stay. 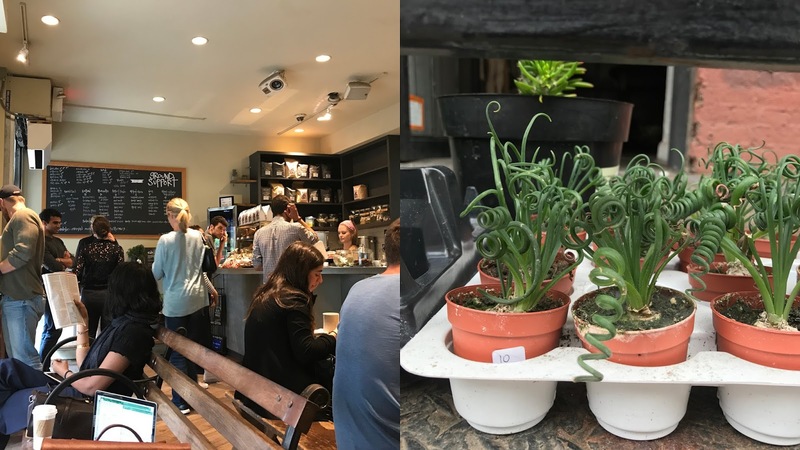 Excellent coffee, pastries and lunch options. Super charming little café! // I love this Mansur Gavriel ad, isn't it pretty? 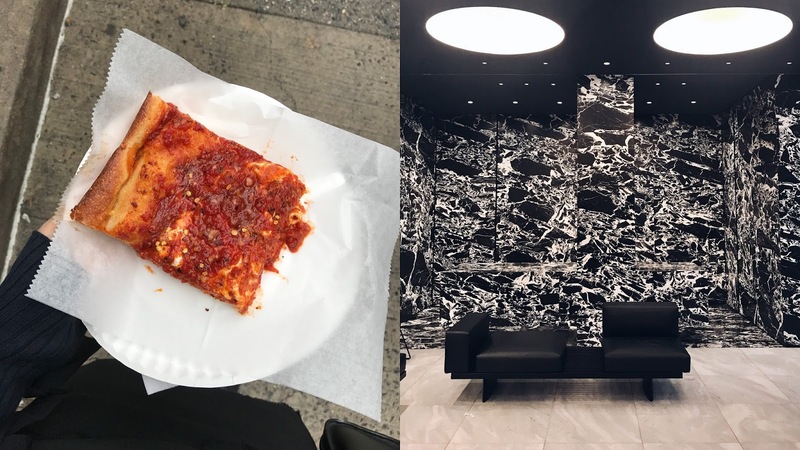 Snacking on a square from Prince St pizza. It's good but not my favorite pizza place, definitely a little overrated. // I discovered this kind of waiting room in the MoMa and fell in love with this black and white marble. I never really go to Times Square unless I'm in the area or pass by coincidence, too crowded for me! But it's not too busy at night time and I heard that you can get some cool pictures if you go super early in the morning. // Another new spot I discovered: Aldo Sohm wine bar. If you're in the area it's a really great place for a nice glass of wine and really delicious small plates. Loved it. Early morning workouts at Equinox, I could get used to it if I wasn't such a night owl. // New Gucci mural on Lafayette. They always have the most incredible murals there! Anni lent me her Citibike key which, if you know me, is the greatest gift ever. I love biking around, even in big cities like New York. It's not the safest thing, but it's very efficient, fast and kinda fun. 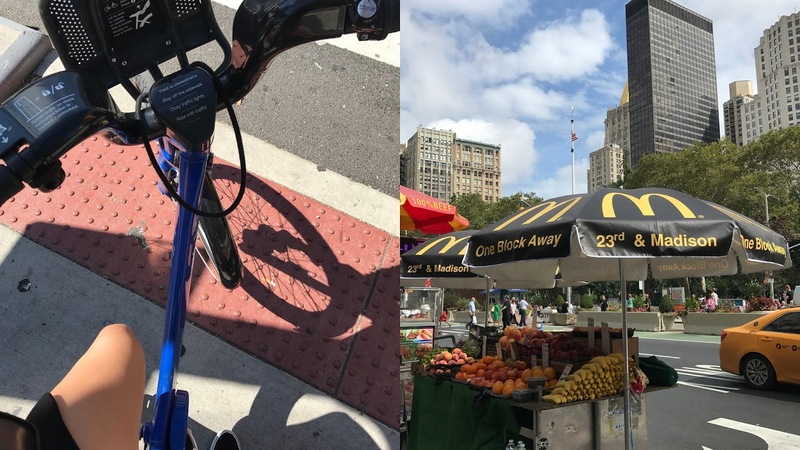 I feel like Speedy Gonzalez on a Citibike ;) // Saw a fruit stand with a McDonald's parasol.. only in America. 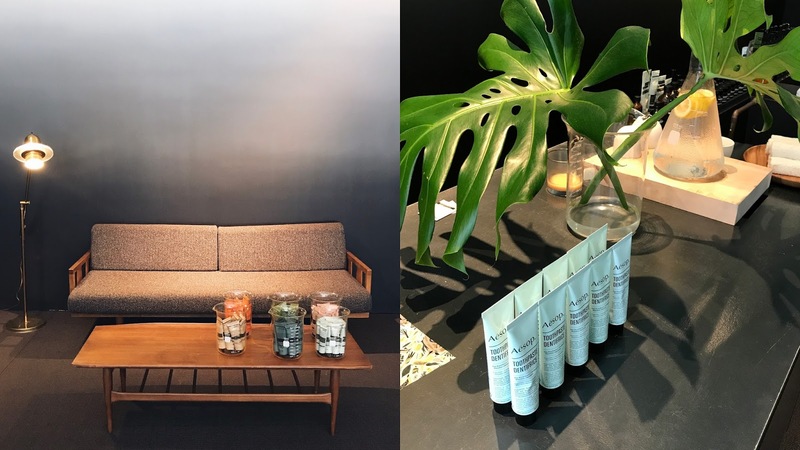 Aesop is probably one of my favorite cosmetics brands because everything, from the product to the packaging, the store and shopping experience, is thought about in detail. And every store looks entirely different! I love this one in Tribeca, it's very clean with the ombre walls as the focus point. Here's one of the 100 Flatiron pictures I took during my two-week stay. It's impossible for me to pass without taking a photo. Impossible! // I'd never experienced such a bad jetlag, so each afternoon I became super tired and delirious. The only thing that kept me going was iced coffee. 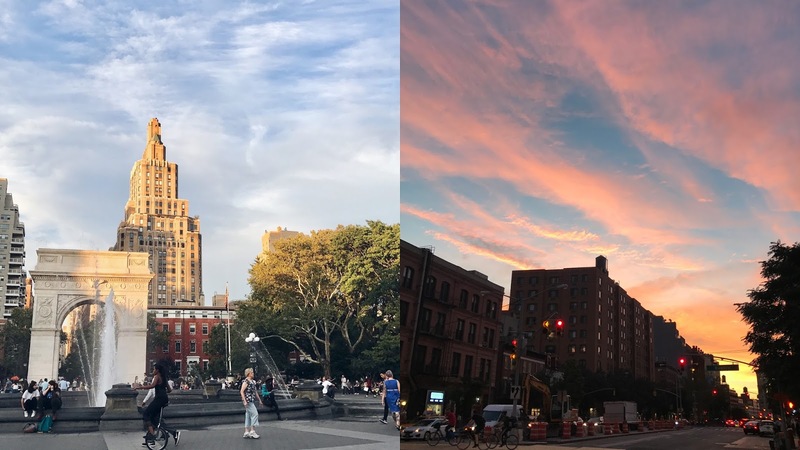 I've said it before and I'll say it again: there's no such light as New York light. // Healthy lunch at De Maria! I saw someone eating this bowl so ordered the same, it was heavenly. All those flavors mmmm... There was a bit of salmon in it which wasn't necessary for me, I honestly can't remember the last time I ate salmon before that. But it was tasty nonetheless. Quick espresso at Ground Support while it was pouring rain outside. // Spotted these cutie little curly succulents. I've never seen this kind before? Visited a friend at work, at Conde Nast. 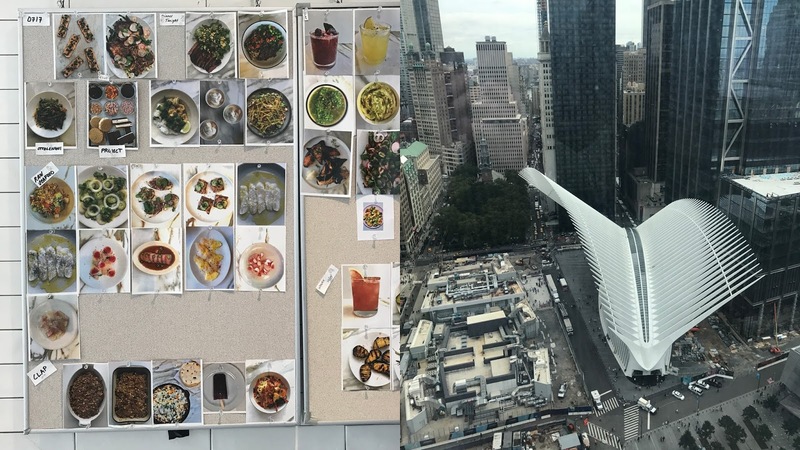 We snuck into the Bon Appetit kitchen, which was an absolute dream. // The offices are inside the WTC building, so you have a pretty cool view of the Financial District. 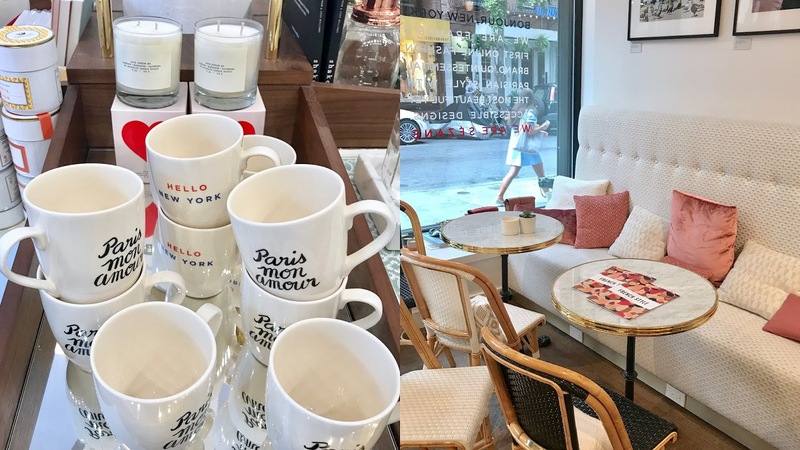 Parisian brand Sézane just opened a new store on Elizabeth Street. I didn't know the brand but already loved it the second I stepped inside. The clothes are cool and affordable and I loved all the booties they had. 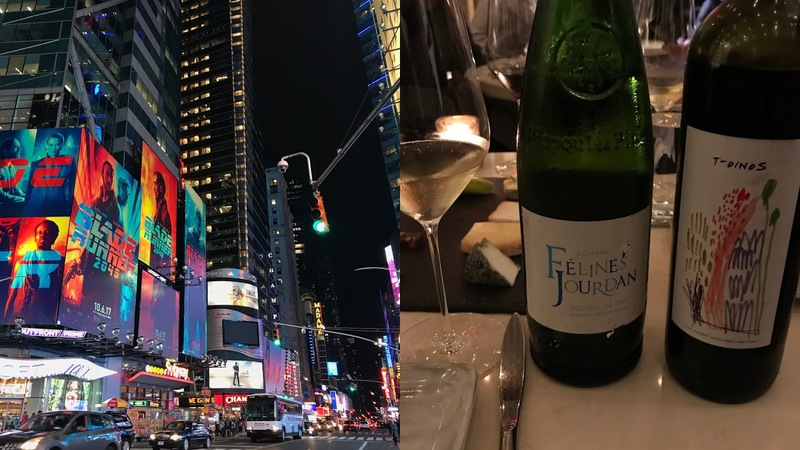 They only have one store in NYC and three in Paris, but make sure to check them out. Revisited my old neighborhood, and of course Washington Square Park. I've been here hundreds of times and still see new things every time (like now there's a work by Aiweiwei right inside the arch, I want to see it) // Another gorgeous sunset! Sunset from the Public Hotel rooftop, the best rooftop Downtown. // After a failed attempt to go to two different restaurants, Anni and I ended up at Sticky Rice for tasty Thai food. Cheap and good! The next morning we woke up super early, which wasn't a problem for me and my jetlag, but still. 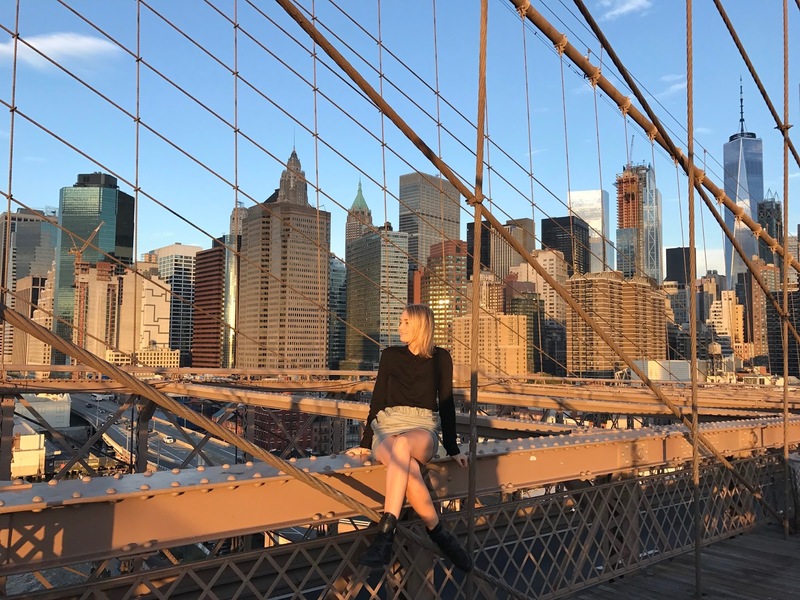 We had decided the night before to catch the sunrise on the Brooklyn Bridge, which truthfully is really the only time you can get good photos because there's not a soul in sight at 6 AM. Still half asleep but so happy. 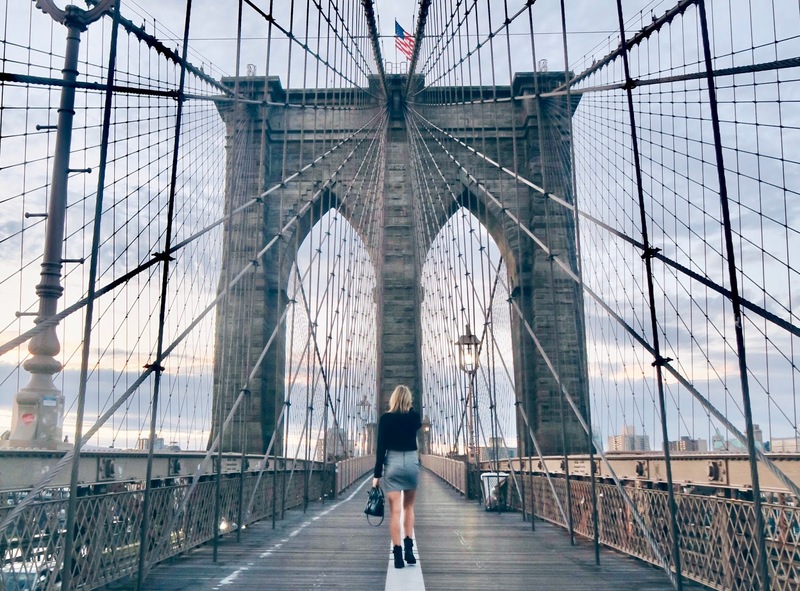 I can 100% recommend getting up to see the sunrise on the Brooklyn Bridge. By 8 AM we were sitting down at Pause Café enjoying a much-deserved breakfast. Love this little spot! Their açaí bowls are famous but I had a toasted sandwich, super good! 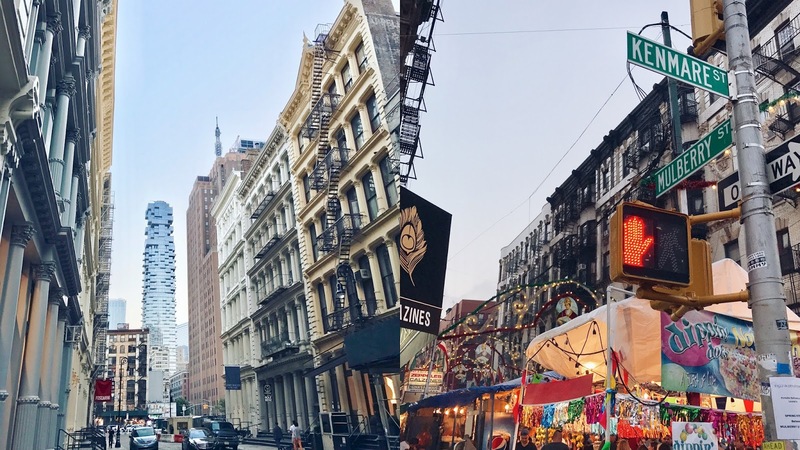 // I admit that the Lower East Side has never been my favorite part of New York but after having "lived" here for two weeks I started to like it a lot more. 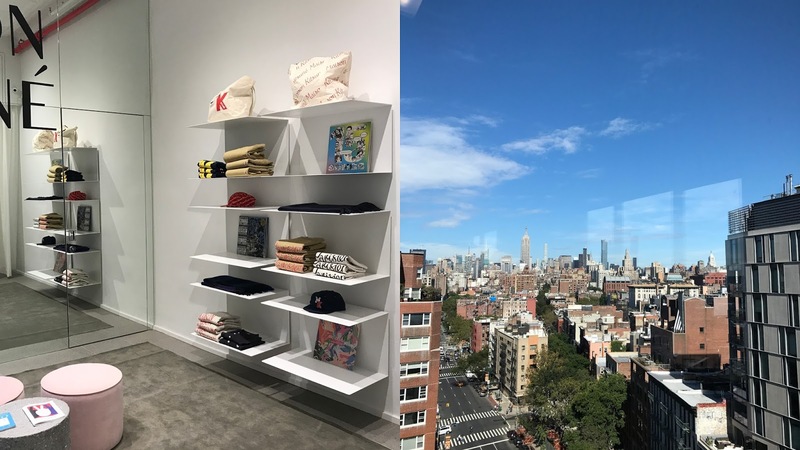 Maison Kitsuné opened a new store on Lafayette (the first in NY? ), too bad they didn't open a café as well, like in Paris. // One SoHo Square is a newly redeveloped office building I visited. Wouldn't be bad to have your office here, right? Despite rising temperatures (32 degrees!) I kept biking all around the city. I can't highly recommend it when visiting New York, you see so much more than when you take the Subway. // Ohh I missed my oat iced lattes from Happy Bones so much, the absolute best. 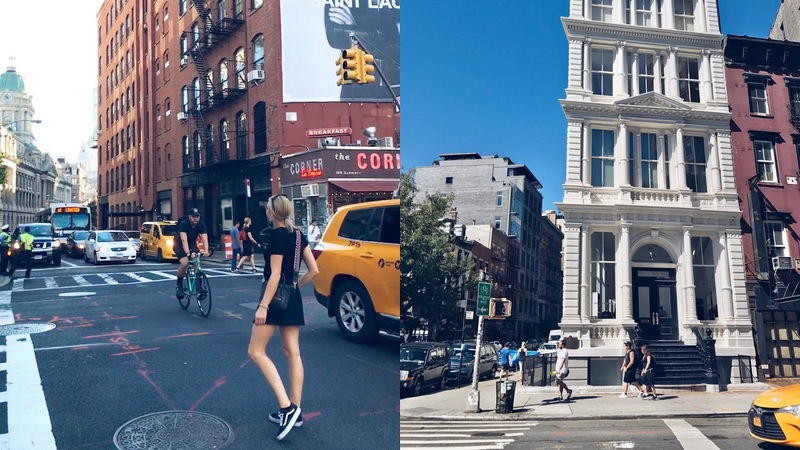 I did a quick tour of Soho and Nolita to show Sean my favorite corners, buildings, and streets, including the perfect Insta pics. 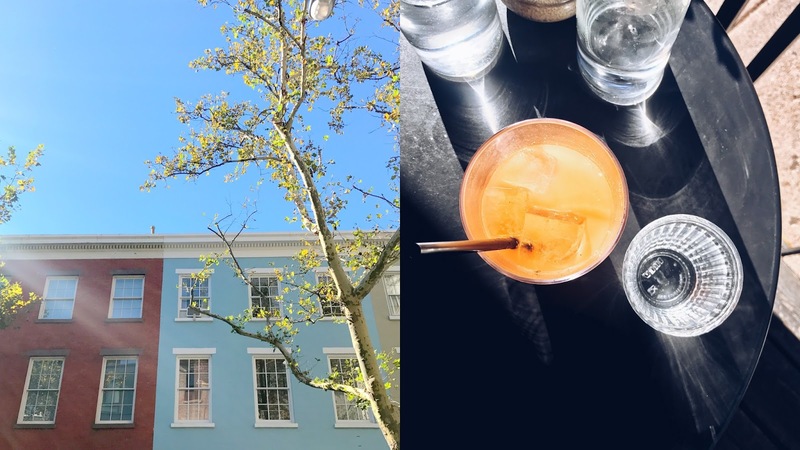 Who else wants to sign up to my Insta-friendly-city-tours? ;) // This white building on the corner of Bond and Bowery is one of my favorites. 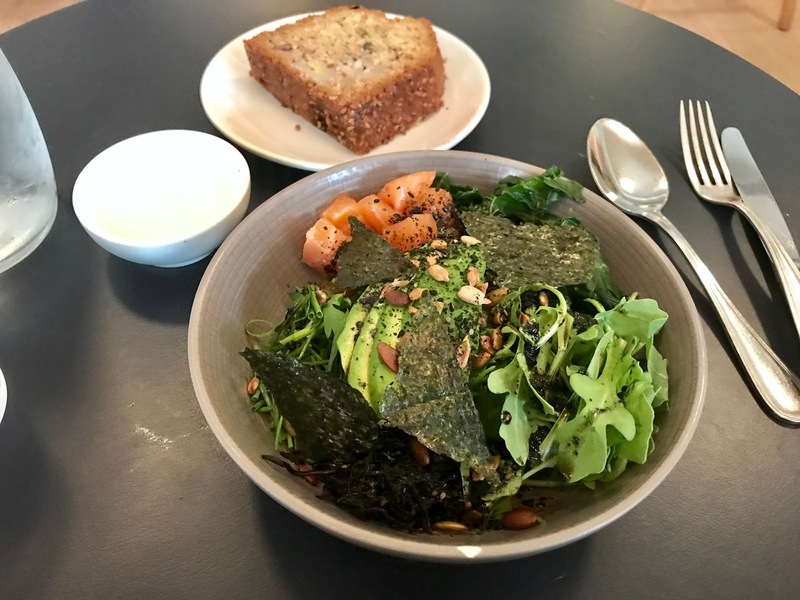 Atla is probably one of the best new restaurants that opened this year. 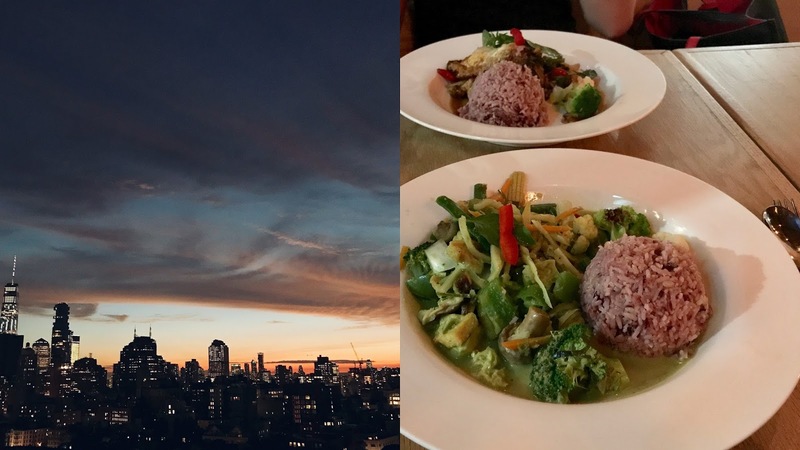 I met up with two friends and had such a delicious meal. Make sure to order the guacamole, it's too good! // After dinner, it was time for some wine at Café Select, always a good one. I've got some Crossfit-addicted friends who managed to convince me to try Crossfit for the first time ever. I never thought I'd like it but it's a good sweat and it feels effective. 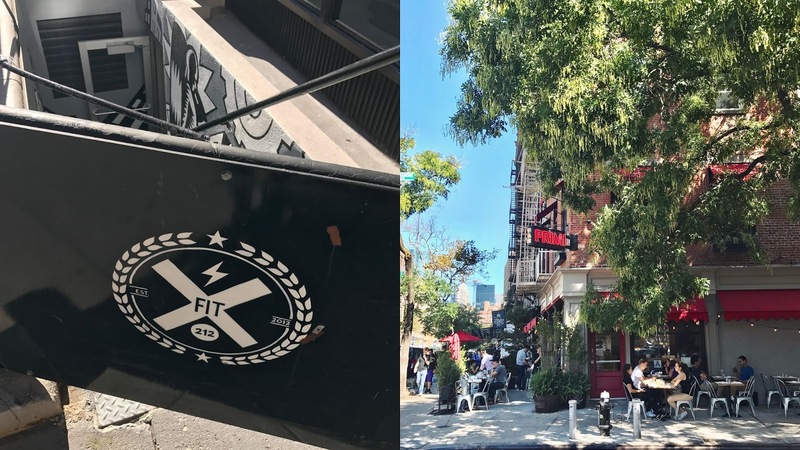 Ended up going twice during my stay, I can recommend this Crossfit box on Bond St. // After working out it was time for Saturday brunch. The sun was shining and everyone was outside eating good food and enjoying "summer", such a nice feeling. Brunch place of choice was The Wren. I wanted to try something new and I'm glad we did. 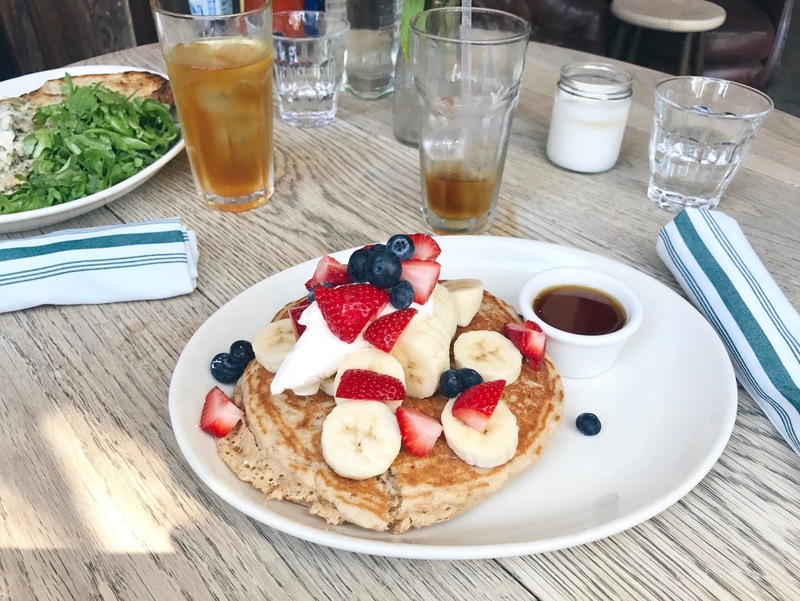 No queues whatsoever and these buckwheat pancakes were SO delicious, my second favorite in NYC after Five Leaves. It also looked like a nice place for drinks at night! 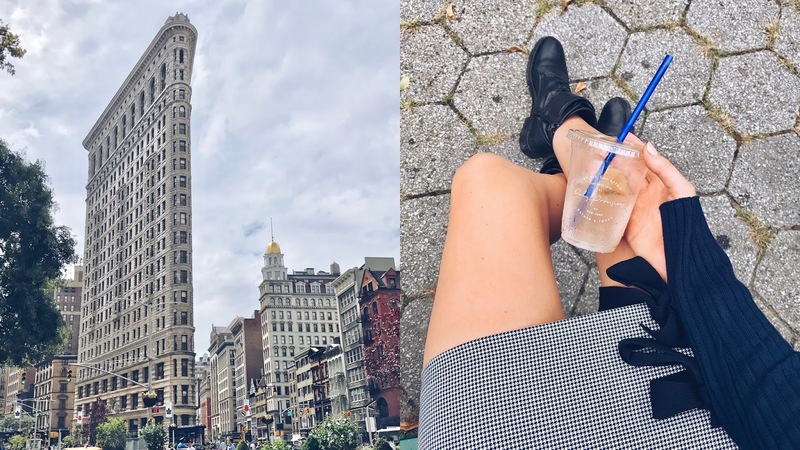 We ran into friends who were having brunch opposite the street (I love how small New York is in the end) so I joined them for the rest of the day for some wandering around the city, just how I like it. This post is getting way too long so I'm keeping the other half for the next post! Also, let me know if you prefer having one big post or if I divide it up into different parts like I'm doing now. Your feedback has been super valuable so keep filling out those and tell me what you'd like to see more of!